Being winter and planning a whole new menu for summer opens up so many possibilities and recently having started to concentrate o on gluten-free desserts, I have been obsessing with custard-like desserts. Several Panna Cottas later, I am now firmly in the mood for a posset, given the fact that winter brings a glut of lemons. 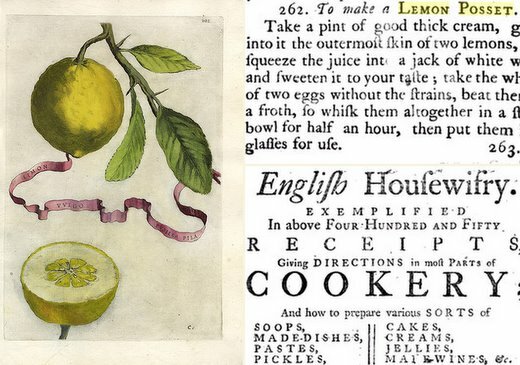 Posset, that old favourite lemony custard-cup pudding, sounds dreamy and elegant, oozing with nanny qualities. In reality, even the smallest of spoonfuls packs something of a punch and is surprisingly light and refreshing for something with cream at its heart. The fact that it only has three ingredients makes its arrival on the table even more of a treat. Whenever I am making this classic dessert, I always wonder if there will be enough – it looks such a small amount in the saucepan. Yet once it is poured into glasses and left to set, it is so rich and lemony that a small amount is all that is required. A crisp biscuit could be useful here – a sugar-coated shortbread or maybe a brandy snap – but there is also something infinitely pleasing about its simplicity. Makes 4 small glasses. Put the cream and caster sugar in a saucepan and bring to the boil, stirring occasionally to dissolve the sugar. Lower the heat and leave to bubble for about 3 minutes, stirring from time to time. Reduce the heat so that the mixture doesn’t boil over, and let it bubble enthusiastically for about 3 minutes, stirring regularly.